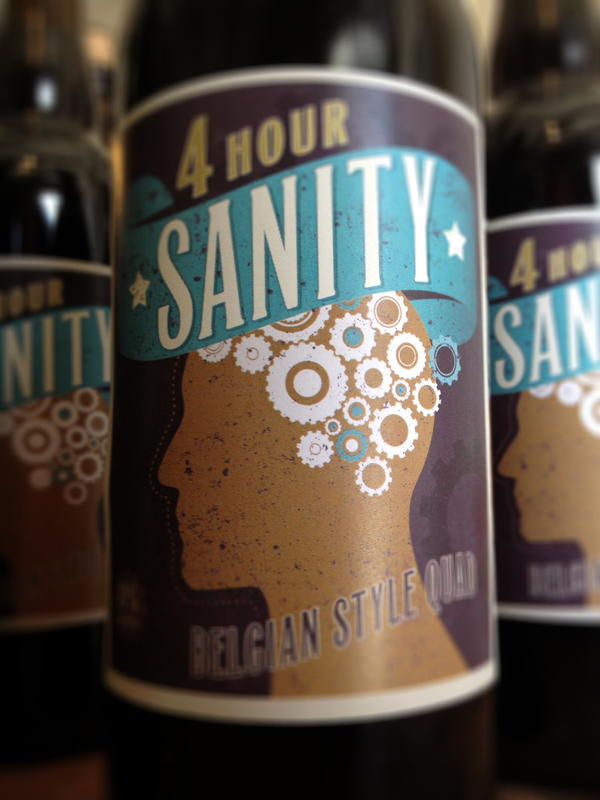 Label for a Belgian-style ale crafted by masterbrewer Brian Purcell of Three Taverns Brewery. 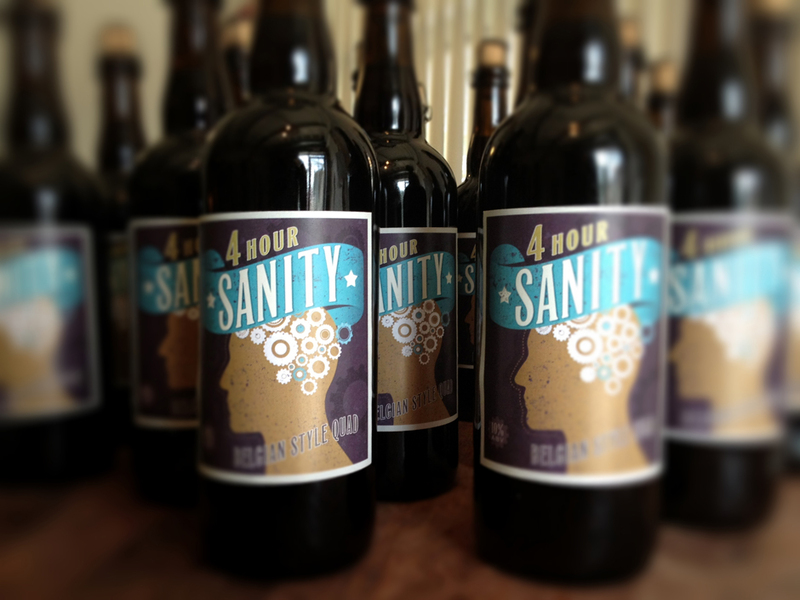 His recipe was inspired by multiples of four ingredients — four grains, four sugars, four hops. Four thumbs up!